Kumusta po kayo!! Mas mabuti sa MTC! Nagtututo ko po ng Tagalog sa araw araw. Nagtuturo po kaming mga investigator araw araw na namamahal po kaming ito! Sobrang excited ako to leave ng MTC! It is hard to know what to write about because it seems like every day here is the same! I’m having a great time here and I know that what I’m doing is right! This is such a cool experience! I’ve met people that I know will be my friends for the rest of my life! On the spiritual side of things, I feel as if every day has something new to offer! I’m learning constantly new ways to feel the presence of God in my life and how to better share that with other people. Elders Larron, Burbidge, and Rujke. 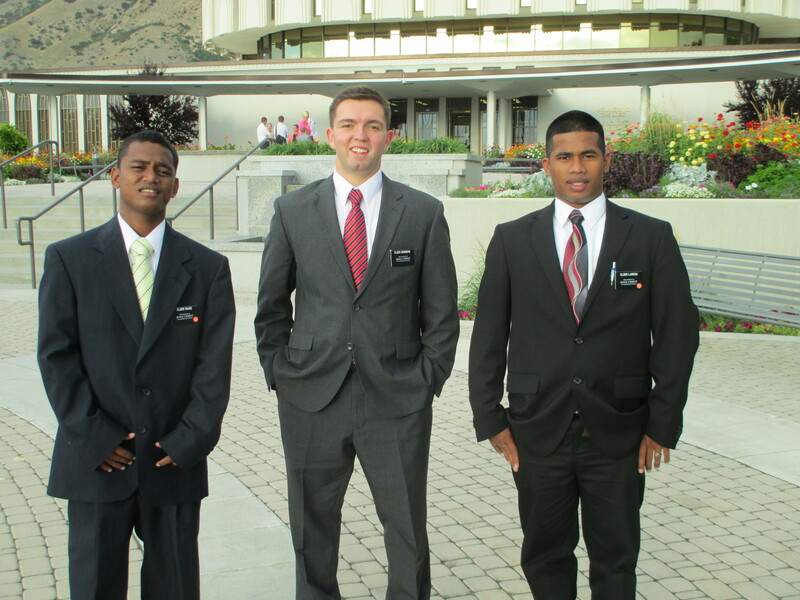 Can you guess which two are from the Marshall Islands? I hit a patch of homesickness this week, but then we taught a lesson to an investigator (roll played by our teacher) and it went away because I felt so strongly that what I’m preparing to do in the Philippines is the true and correct work of God. I love all of you and I’m so happy that I get to keep in touch like this! Stay happy about life. There’s a plan for you individually and a plan for your family, both now and in the future. Keep a positive outlook on life – complaining wastes time – and go to work. This is the happiest I’ve ever been. I love this.